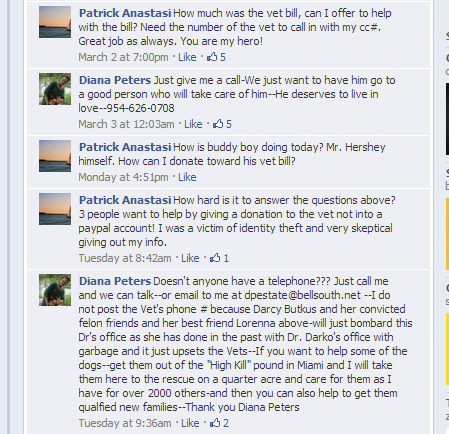 Voice For The Voiceless: Diana Peters- Classic Move's Deletion And Blocking. Diana Peters- Classic Move's Deletion And Blocking. Diana was very foolish yesterday, for an odd reason she had my old account unblocked, and for a brief moment I made a comment about Panchita. I do not know if it has been seen by the public or her followers on there. Whichever the case may be, she did delete my comment and re-blocked my account from posting on her scam page. If you need proof please look below at Screenshots I took before she deleted and after. My comment was right below Jeans's. My comment is gone. This is Diana's Classic Move. She Deletes the Comment, and Then Blocks the poster. Yes that means I can no longer see her Page on my one account. THIS is why so many of us have made multiple accounts, to check on her page to see what other lies she has come up with. Not for the reasons she mentions. Yes we have all reported her to the cops, they have turned their backs on us, they will not listen to reason, and since that is the case, more dogs are in danger because of her. 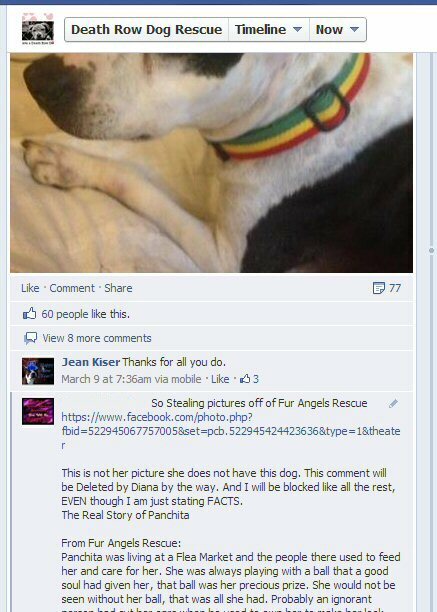 Diana Is not part of Fur Angels Rescue, but it's nice to know that she is putting down the CORRECT information, after people have chewed her out about it. 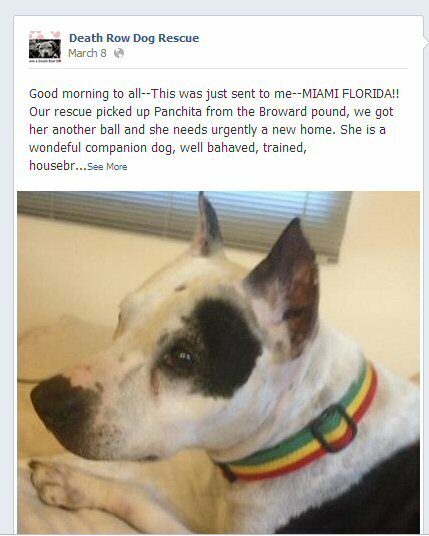 Rescues aren't stupid Diana, they know your deal, and they are all keeping an eye on you, just in case you steal their photo's and claim them as your own, which you have been doing with the MIAMI DADE SHELTER'S photos. Yet Diana blocked them from posting, so they can't speak up about it. Now onto the free medication incident that Sabrina brought up with Diana. Well now, Diana you are busted! Why would you turn down free medications that your VET prescribed? Her excuse was she refuses to give the dogs in her care FREE antibiotics. Why? They are just as good as the rest of those medications out there, and denying the free medications from an ACTUAL VET, no legit rescue does that! Patrick good luck getting anything out of Diana, she refuses to supply her Veterinarian information, yet she has no problem supplying the PUBLIX pharmacy number. By the way Diana, I am friends with Darcy, and I am NOT A CONVICTED FELON, you can't keep bringing that up about our other friend either since it was OVER 10+ years ago, and you say you're a god loving woman, GOD DOESN'T JUDGE, He forgives and lets people REPENT... Our friend that you like to bring up so much made amends, He changed. So give it up you pompous judgmental psychotic B****. You have not rescued 2000 dogs, you keep changing those acre's, first it was 4 acre's then it was 2 acre's now it's a quarter? Which is it? It's none, you have no acre's! you have no dogs! Any picture or story you post on your page is from someone else's wall or from a web surf. You are no longer LEGIT, I don't know what changed you in 2009, ever since that year you have been going down a crooked path. 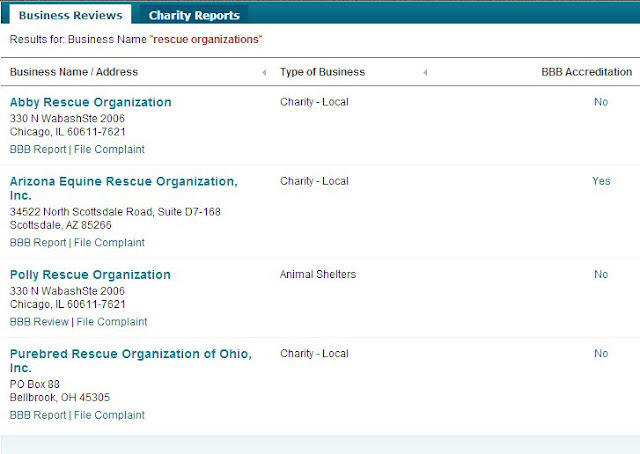 Again any legit rescue would give you their Vet info, and would not send you to Paypal, all legit rescues I know of have been switching to fundrazr.com or another donation site. Paypal is not safe, it has been known to become hacked and people have been having their Identity stolen. Legit Rescues Don't Use Multiple Aliases All At Once, Con- Artists do! Legit Rescues have a Gift Certificate and a 501C3 which makes them fully registered with the Government (IRS and STATE that they are in- Tax exemption) And Legit Rescues would not be LABELED as DOG BREEDERS. Do we see the Difference yet? 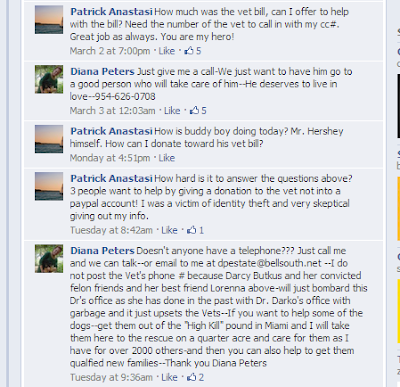 I hope this helps those who still support DIANA PETERS to figuring out the TRUTH about this Horrid woman. Thank you! Thank you for helping to spread the word about this scam artist! 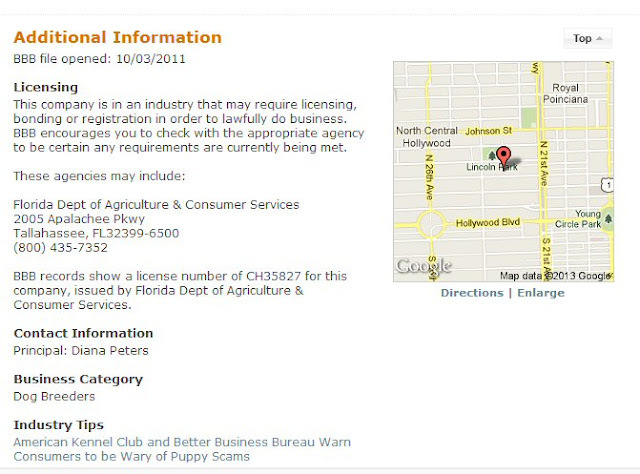 Beware, dog lovers. This woman is a phony, a fake and a fraud. Take your pick of the above names! 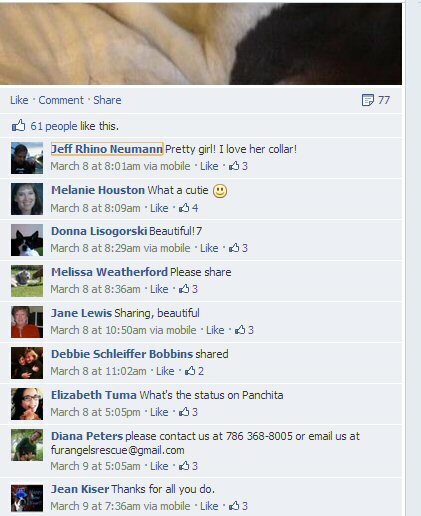 She is stealing your donations that you intend to send on behalf of the animals that she posts. Your donations are going into her paypal account to pay her rent bill. 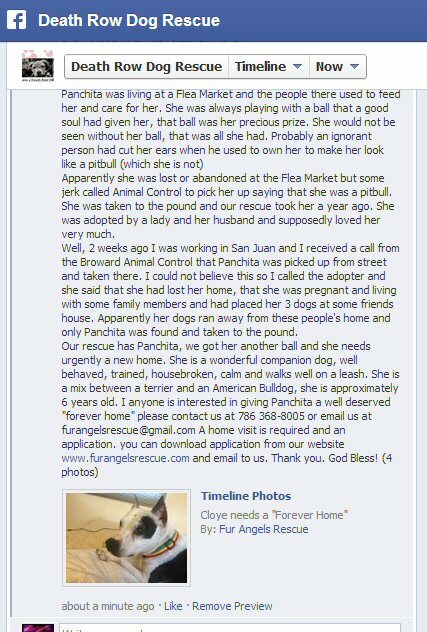 Just ask a simple question on her death row dog rescue page. Ask, "I would like to donate directly to the vet you use for your rescues! Please provide so I can call in my donation." She will try to get you to call her or e mail her! RED FLAG, folks!!! Several of us are blocked from posting on her page! She is pure evil! DO NOT be fooled by the number of likes on her page! That is an attempt to convince you that she is authentic! Far from it! 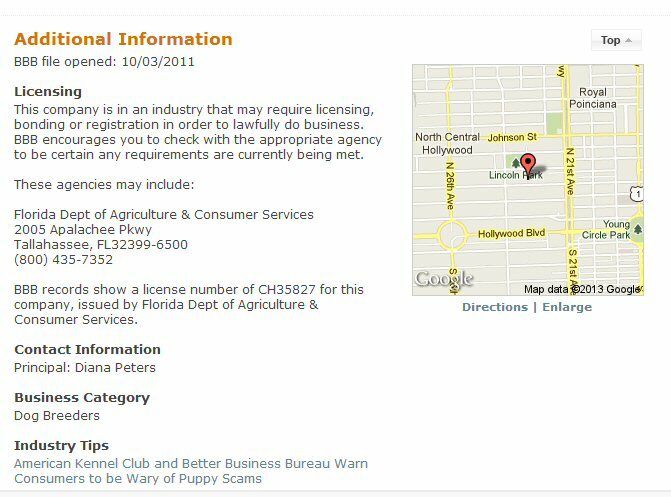 Do your research, dog lovers. Just google the name of the rescue!